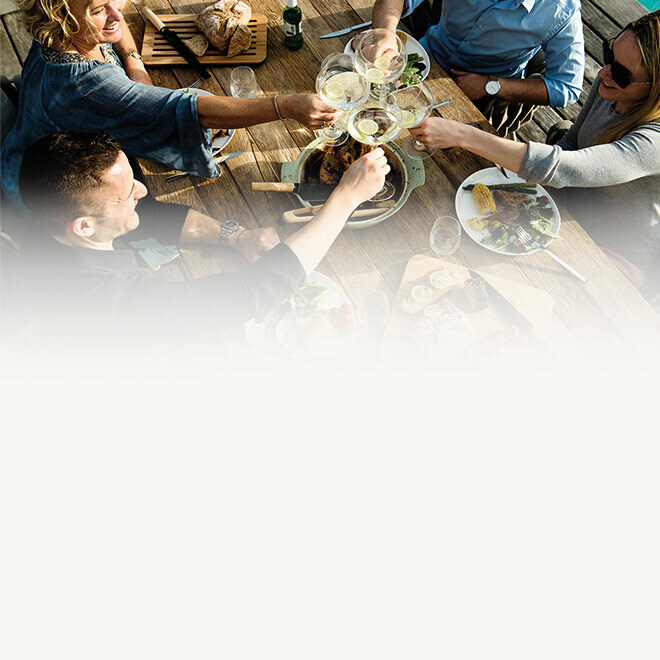 A relaxed barbecue with family and friends, it’s the heartiest way to spend a warm summer evening. Or why not get cosy on a crisp winter’s day and enjoy a perfectly grilled piece of meat in the company of a crackling fire? 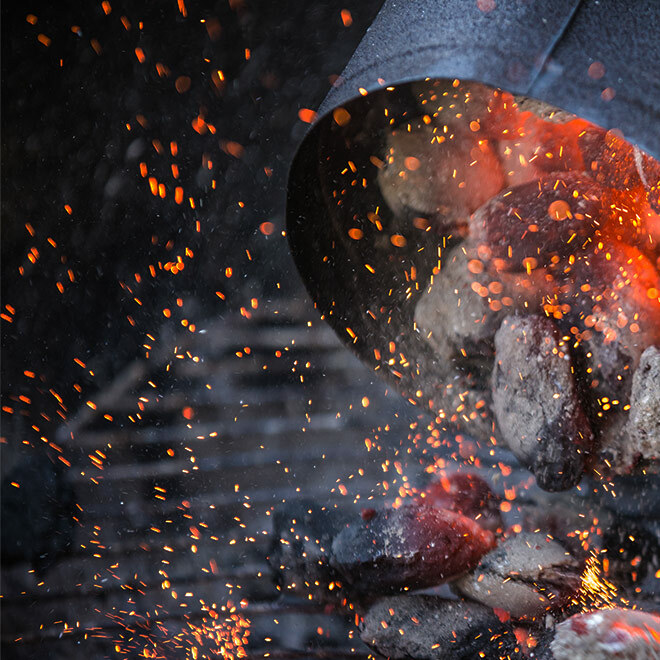 Our series of outdoor cooking gear and utensils is the best instrument to get back to basics. It’s not just about taking your time to cook, grill or smoke your food to perfection but also about unwinding, taking a breath of fresh air and catching up with the ones you love. 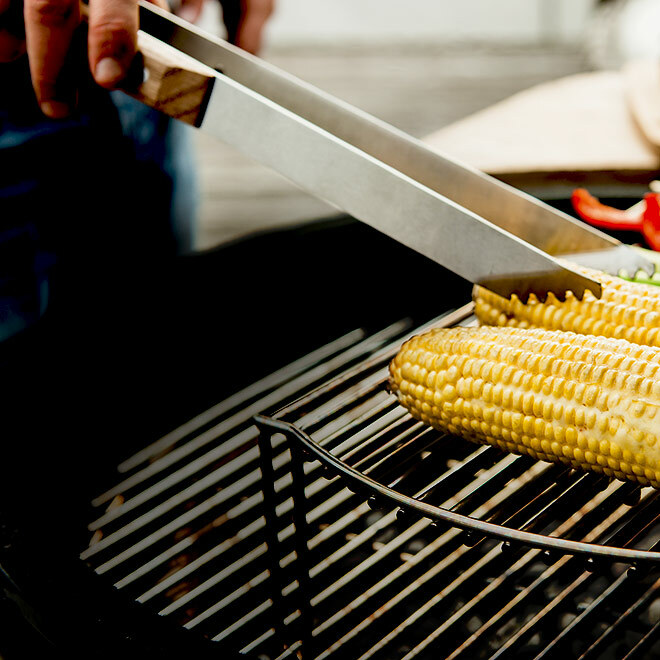 Much more than just a way of cooking, a barbecue is the perfect gathering place for good food and good company. Our Outdoor collection assembles everything you need for the best outdoor dining experience all year round. 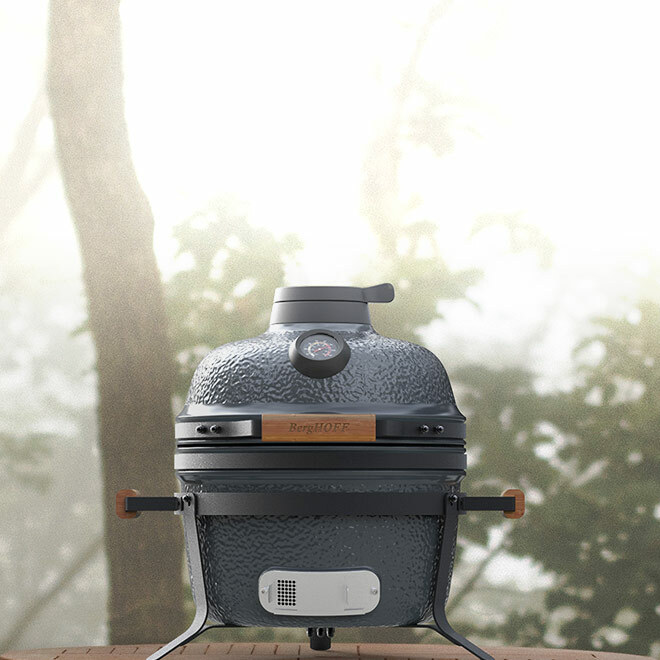 The ideal BBQ, the right tools and stylish accessories, together they set the scene for a great meal. Outdoor is our versatile product selection that helps you to perfect your barbecue skills while you get into the summer vibe or enjoy the cold winter air. Outdoor cooking goes beyond grilling food, it’s about bringing the full cooking experience outside. Anyone can pull a steak off the grill but a true barbecue enthusiast is curious to explore the possibilities. He or she wants to take it up a notch and bake a crispy pizza on the grill, smoke a delicious piece of salmon or even bake a batch of blueberry pancakes on the hotplate. 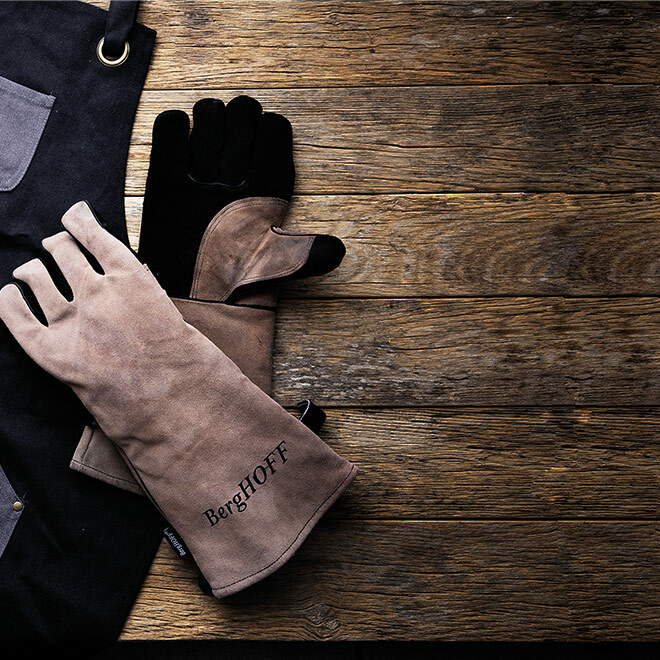 To bring that creativity and versatility to your grilling, the BergHOFF Outdoor collection assembles a variety of barbecues and barbecue accessories that help you add a personal twist to your outdoor dining feasts. 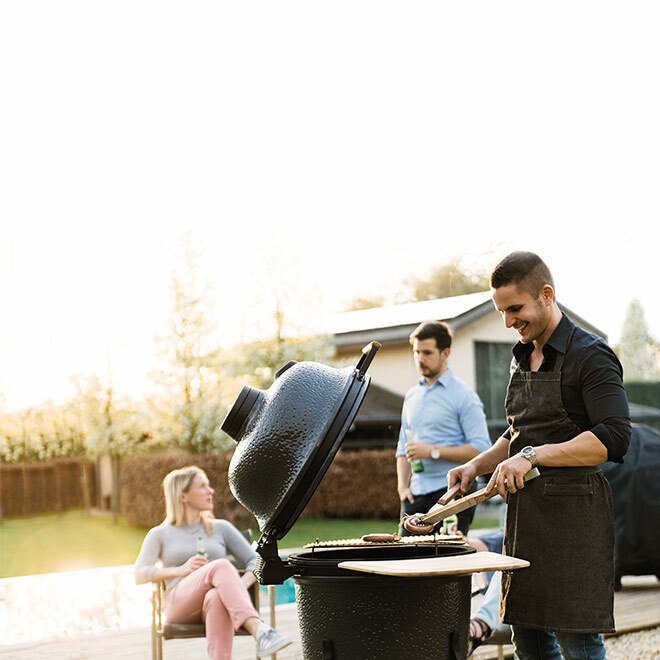 Whether you prefer a ceramic barbecue, an outdoor kitchen or a table barbecue, this collection provides the best equipment to savour that sweet barbecue flavour.